David Sommer is a consultant working with a range of publishing clients to grow products and businesses. He has also been a contributor to the project COUNTER and completed the morning session at the To Measure or Not to Measure - Driving Usage seminar. 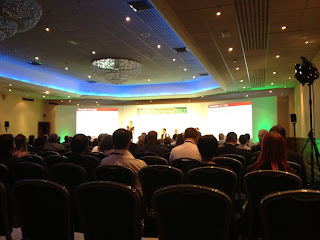 He provided an overview of the latest COUNTER Release 4. The main objectives for the update were to provide a single, unified Code covering all e-resources, including journals, databases, books, reference works, multimedia, content, etc. They wanted to improve the database reports and reporting of archive usage. The update will enable the reporting of mobile usage separately, expand the categories of 'Access Denied' covered, improve the application of XML and SUSHI in the design of the usage reports, and collect metadata that facilitates the linking of usage statistics to other datasets such as subscription information. Sommers posed an interesting question: what is a mobile device? They have used the WURFL list to define. The timetable for implementation includes a deadline date of 31st December. Sommer then provided a useful background to Usage Factor (UF). It is designed to be a complement to citation-based measures. While Impact Factors, based on citation data, have become generally accepted as a valid measure of the impact and status of scholarly journals and they are widely used by publishers, authors, funding agencies and librarians, there are misgivings about an over reliance on them. The idea is not to try to kill them off, but to provide other measures to use alongside, particularly as Impact Factors don't work so well for non-STM disciplines. authors welcoming this to build their profile. Four major groups will benefit: authors (especially practitioner-based fields) without reliable global measures; publishers; librarians; and research funding agencies seeking a wider range of credible consistent quantitative measures of value and impact of output of research that they fund. The aims and objectives of the project have been to assess whether UF will be statistically meaningful, will be accepted, is robust and credible, and to identify what the organisational and economic model will be. They started in 2007-2008 with market research including 29 face to face interviews from across interest groups as well as 155 librarian and 1400 author web survey responses. UF should be calculated using a publication window of two years. There seems to be no reason why ranked lists of journals by usage factor should not gain acceptance. However, small journals and titles with less than 100 downloads per item are unsuitable candidates for UF as they are likely to be unreliable. test stability of UF for low UF journals and confirm level below which it shouldn't be provided. This will deliver a Code of Practice which will include definitions, methodology for calculation, specifications for reporting and independent auditing as well as a description of the role of the Central Registry for UF and funding model. David closed with a summary of PIRUS2 whose mission is to develop a global standard to enable recording, reporting and consolidation of online usage statstics for individual journal articles hosted by Institutional Repositories. Further information is available online. The second session at our To Measure or Not to Measure seminar was presented by Vanja Merrild, a digital marketing specialist working with BioMed Central. Now part of SpringerOpen, BioMed Central have 243 open access journals across biology, medicine and chemistry. 52 journals are society affiliated. 121 journals with Impact Factors. Their focus as an open access publisher is on submissions, being author driven, using their own in-house submissions system and focusing on author data. maintain consistency in 'From' lines - builds recognition of a trusted source. Segmentation is hugely important: the same message is not relevant for everyone. Editors, authors, members, librarians, scientific interests: they all need their own message. You should test and measure your hypothesis, check spam filters, look at the mobile device appearance and appearance in different email clients (particularly the ones your audience are using). Vanja suggested a range of factors to test and measure. Keep track of your reputation with services such as ReturnPath senderscore.org. Understand what works where. Check out your 'sleeping beauties' contacts who need waking up and find out when they leave your email. Your social media strategy should focus on increased ROI for your business and your time. Create safe tests to experiment and don't make this only one person's role. Be iterative: plan, execute, measure, adjust, repeat. Understand which metrics matter and which are your goals. Track metrics before, during, and after to show return on investment and consider benchmarks to better understand what they actually mean. Use analytics not only as a reactive tool to see how you did, but as a proactive tool to hone your branding messages. She closed with suggested tools to measure your activity including: Twitter Counter, TweetReach and TweetStats. 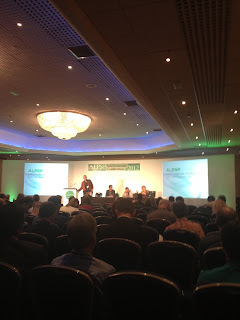 ALPSP Conference Day 2: The scholarly article in 140 characters? 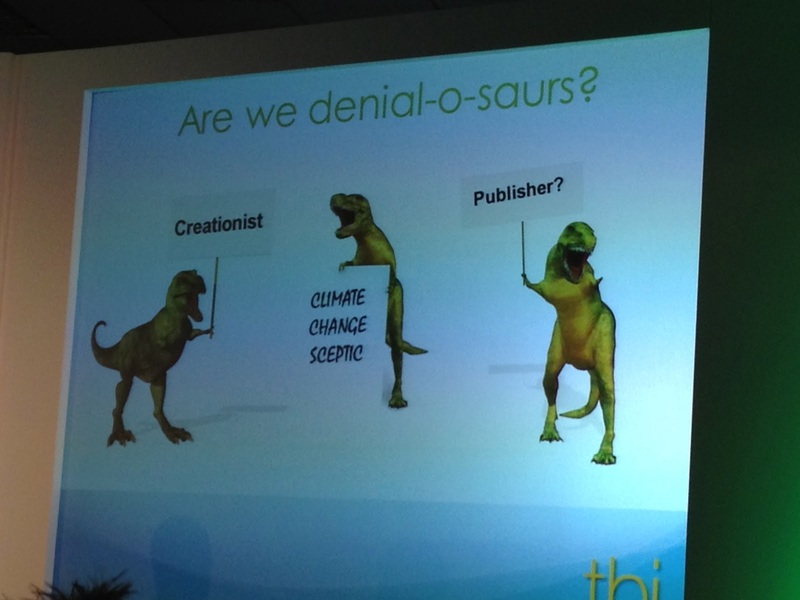 Are you a denial-o-saur? Digital technology, particularly mobile, is changing the way we access and read information - perhaps even in the way we use different parts of our brains - for problem solving rather than 'deep-reading'. The Scholarly Article in 140 Characters session explored implications of this for consumers, publishers and the research community. Matt Rampone from HighWire Press kicked off with a summary of mobile trends, data and the impact on STM publishing from their own user data. The information comes from 12 months of data from a wide range of publishers they work with and provides a snapshot of an aggregate study. The visits by operating system are split by 69% by iOS, 30% by Android, and 1% by BlackBerry. Mobile website usage trends are going up. People are finding the sites and coming back. Where smaller publishers - who publish once a month - have mobile apps, they found that users were coming back showing real engagement with a mobile platform. The median time for mobile website browsing is 90 seconds. People spend more time reading with a tablet. With a smart phone they spend less time reading, perhaps because it is not as comfortable a reading environment? PDFs are more lately starting to trend downwards and - unsurprisingly - they are non-existent on the smart phone. focus on creating good experiences: more tools and better end experience. Charlie Rapple from TBI Communications - who wins the prize for best slide of the conference - provided a wake-up call for those who won't rethink their content strategy in light of new digital technologies. Content still tends to be long form, text based and not very dynamic. As an industry we've got into the mindset of “if it ain’t broke, don’t fix it”. But are users happy? What they want is changing, but we’re not really recognising and responding to this. One reason is that we haven’t evolved our product or service to the extent to which they have evolved. The risk is that we will lose market share to disruptor players. Does that mean that as an industry we are denial-o-saurs? We need to consider how long we can win the battle of mind share. We need to win our users back and get better at meeting user needs by reconnecting, re-engaging, and rebuilding relationships with readers and stakeholders. The transition to online wasn't a revolution, but mobile and social may well be. So let's go back to basic principles - the audience and their need - to direct strategy and rethink core value proposition. We need to make better use of mobile technology. What she wants - and is starting - to see is user experience being less passive with a better sense of how it is contributing to their work and therefore the value. Mobile is really contributing to this. For publishers, the key is to get close enough to users to understand and get to know audiences. It doesn't have to be difficult or expensive: you can do desk research, analyse data - you don't need a huge budget. Having a crack in-house is better than not doing anything. An initial bit of work will help you really articulate the questions you need answers to. You can combine general information from desk research with more focused research you do yourself. Take the general information (e.g. smart phone take-up) with own (user analysis of device type) and also ask really specific questions (e.g. problems that preclude smart phone use: security, confidentiality, connectivity?) Then compare the reality of what is happening with your site and your users to compare perception versus actual behaviour. Consider user observation and it is useful to probe and explore in more detail initial findings of your survey. Citing an example from one of TBI's recent clients, one interesting finding from this approach was that as much use of professional information happens outside work while commuting or at home. This had implications for the structure and presentation of content with unexpected insights and inspiration. For example, expect the previously unexpected: medics can now use mobiles in the air in the US. This resulted in a medical app being used to save a life on a plane. Nick Bilton in his latest book I Live in the Future & Here’s How it Works suggests we need to make time and space to make innovation happen. Another contemporary theorist, Steven Johnson talks about the “collision of slow hunches”. It's about focusing your efforts, setting and prioritising objectives, as well as embracing and planning for change. Move away from thinking about content to thinking about customers and it will have an impact on every department. prepare staff and processes for change. Despite having to follow the awesome denial-o-saurs, Tom Reding from BBC Worldwide charmed and informed the audience in equal measure with multi-media highlights from key BBC brands (Top Gear and Doctor Who anyone?) as well as some fabulous merchandise giveaways. His was a view from outside of the scholarly publishing industry, one that could provide fresh insight or some new ideas. BBC Worldwide drives revenue to go back into creative sector and BBC.com has over 50 million users a month. Digital is important because it’s about the money. New revenue streams are driven through new digital channels, new production and cost savings. Digital also opens up new markets. It gives them a closer relationship with audience and engages fans across platforms. But one of the biggest reasons they focus on digital is to stay relevant. In one of the more interesting comparisons of the day Redin observed that the cross-platform chunked up and down content for Top Gear isn't too disimilar to what you can do with an article. He advised us to step away from our content. We’re in the business of insight NOT journals. Remember that mobile users are more willing to pay for services than desktop users as they value convenience and immediacy. A move to digital means more than re-versioning. Sweat your assets, distribute as far as you can, but get to the core of your offer which is insight. Explore new media platforms. Think about the business of free: with marginal cost of production and market factors pushing to ‘free’ can you adopt the free + premium = freemium model? If you scrutinise your sales, you’ll likely find you make your money from 10-20% of your audience. For BBC Worldwide, the rest get it free. It's a classic Pareto Principle model. So consider if freemium will work for you. 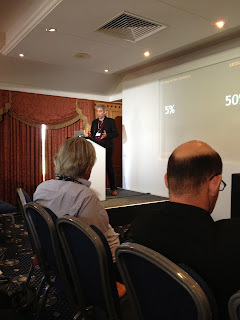 He suggested that with a large adddressable audience (250k knowledge workers) and a free version with clear value (the abstract), a premium offer with added value using user analytics (build or partner) and an optimised conversion funnel (build or partner) can demonstrate your confidence in your product. look at gamification: take a gaming approach and apply it to none-game situations e.g. FoldIt - Solve Puzzles for Science. Redin closed with a charming illustration of how gamification and playfulness can inspire mission-type behaviour. The Bottle Bank Arcade form The Fun Theory. It's pretty inspiring stuff. Rob Virkar-Yates provided advice on mobile digital strategy from an industry supplier perspective for delegates at last week's ALPSP conference. 50% of people have downloaded an application and actually used it. The type of apps that tend to be most successful are those that deliver micro-experiences. These are experiences that do not overwhelm or perplex the customer, are relevant, small and beautifully formed. He cited good micro-experiences as: Tools of Change app, his bank's fast balance app and Spotify (amongst others) as they are focused, they do one thing, but they do it well. With the arrival of the iPad comes the macro-experience: that adds significant value and richness and provides experiences that go beyond the text. Good macro-experiences included: The Wasteland app. be agile - not software, move fast, iterate. Consider content that is location specific or for quick reference. Think about discovery and bookmarking, cost and value. Understand your options and don't forget the cost of reach through an app or via a mobile website. If you already have a mobile site what can you do? Make an ‘app’ with a responsive design solution: a web app! This can serve a single source of content and be laid out so as to be easy to read and navigate with a minimum of resizing, panning and scrolling, on any device. When you get it right, you get a really nice, simple app site which is like a micro-experience app. While this can be seen as a defensive move, the pros are that it is low risk and high reach, has comprehensive browser support, is future proof and has a single code base. The cons: it's not a specific content set, it front loads process, is network dependent and isn't an ‘app’! Is there an opportunity? Probably. But micro- or macro-experiences will depend on the nature of your content. Can you make money? The low cost and potential reach of web apps might be the best option for the majority. Sian Harris, editor of Research Information, provided an introduction to the work of - and case for - science journalists. Specialist journalists act as a bridge between research and readers. They aid public understanding and help researchers to deal with information overload. But there are challenges with the flow of information. Expert journalists play an essential role in decoding science and finding out what it means for everyone. That’s not to say that it can’t go wrong (e.g. MMR vaccination controversy), but there are good examples including extensive coverage of the Higgs Boson experiments. What kind of people are science and technology journalists? They generally have a science or engineering background. They are pedantic about grammar and scientific accuracy. They work to tight deadlines. There are some differences between journalists in the mainstream press and specialist press. What are their sources? Press releases are a common primary starting point. These might be from direct from journal or publisher PR and marketing departments, from research institutions, companies or distributed by PR news services. Scientific papers are often the source of stories and these can be used in two main ways: 1) for a news story about a new piece of research, or 2) source of background and researcher contacts for a bigger article about a research area. Other sources include conferences – a brilliant resource for a whole range of material and contacts - personal communication, patents, corporate news or other journalist articles. There are limitations with press releases. They may be subject to spin or a particular bias. Often, they are not comprehensive enough and there can be a reluctance to share further detail behind the story. Another limitation can be access: where access to a particular journal’s content is not available. An Athens type login would be ideal to get beyond seeing only the abstract of research papers. Unfortunately, this can inadvertently bring in a level of bias towards research that is freely available. Discoverability can also be a major barrier to accessing research for articles. Citation databases behind paywalls present a challenge and while free search engines can be a great source, you can miss things or bring up spurious results. To a certain extent there is a geographical bias: it is easiest to find stories from the USA, UK, rest of Europe (especially Germany), and other English-speaking countries. There are limitations with researcher communication skills. They may be inexperienced with dealing with journalists, not reply to emails or calls or may not be able to explain clearly. Sometimes journalists struggle with media embargoes: they are fine when they give you time to interview and prepare the piece, but they are rarely relevant. Often it should be a case of either release the information or don’t bother. It was interesting to hear that the challenge of information overload applies to journalists as much as researchers, publishers or librarians. While Sian acknowledged that news journalists use Twitter and other social media channels widely, the journalists that Sian spoke to didn’t, and most felt that perhaps they should use it more. They felt that it wasn’t the most efficient use of time, but acknowledge that it has provided some great leads. provide images without lots of red tape. 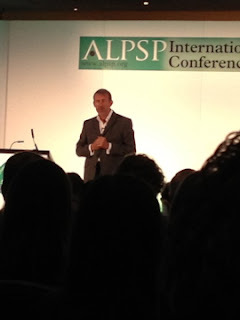 use opportunity to talk at conferences. She believes that there is a need to work together and to have better communication and understanding. If the red tape around press access can be broken down and some sort of authenticated content and access tool for accredited journalists can be developed, it will lead to better coverage for research. 'Giving away the farm' was the penultimate session from this morning's programme. Chaired by Catherine Candea from OECD, the panel reflect on the pressure scholarly publishers are under to give away content. With six month embargoes being demanded and some publishers moving fully to giving away their output as soon as it’s published, what effect is this going to have on the industry? Wim van der Stelt from Springer provided an relatively upbeat assessment of where they are at. It’s good that the Finch group recommended the gold OA route and acknowledged that content needs to be paid for. Meanwhile, Europe, as always, took the wrong decision and have come down on the side of green with a 6 months embargo or gold, but with the funding still insecure. Springer pioneered the hybrid journal and now have price adjustments for selected hybrid journals every year. They moved into real/full open access when they bought BioMed Central in 2008. Not only did it provide them with an open access portfolio, but also helped their systems and processes to be author oriented. Most importantly, they bought in the new culture enabling them to shift from legacy culture. Oh, and it also makes money. Springer Open now has over 405 members in 46 countries. Their Open Access journals are in all area including economics, social sciences, humanities, etc and 15% of all their articles are already open access. Springer Open now includes books! But don’t forget... open access is just a business model so keep on providing the service of validation, structuring and dissemination and don’t forget to develop new services. Jose de Buerba from the World Bank took us through their transition from charging for publications to making everything free. They are the largest Development Agency worldwide with $35.2 billions in projects approved during FY12. With 10,000+ staff and 120 field offices (mostly in developing countries) their annual publishing outputs in 2011 were: 367 journal articles (75% published externally), 438 working papers, 146 books, 500+ other pieces of analytical work very diverse subjects. The World Bank mission is to help generate a world free of poverty, but their conflict was between: mission or money. They have embraced green OA so they can be open about what they know (data and knowledge), what they do (operations and results), about how they work (partnerships for openness), and have open government (transparency, accountability). The new currency is for development impact and their Open Knowledge Repository has had 140,000 downloads since September. The business model comprises: budget from the institution, publishing service fee, revenues from commercial activity from value added products. Xavier Cazin from Immateriel.fr considered paid content vs paid comfort. They are one of the four ebook distributors in France. Distribution is still pertinent for their ebook market and it involves seeing all kinds of publishing offers based on the same content. The certainties of print costs have gone and with digital content it has become difficult to understand what people are expecting on pricing. One trend they’ve seen as a distributor is that of people making a business out of refurbishing public domain content. Why does it sell? And why at that price? And what are the reading rewards? A rich and well designed environment, content/curation appropriate to current needs and sharing functionalities. In his view, the product unit price should work to equation of ease of access + reading rewards = value. For the reader, content quality + authors reputation = content reputation. Based on this, the total revenue should be: product unit price x number of customers/readers with the former related to reading comfort and the latter to content reputation. 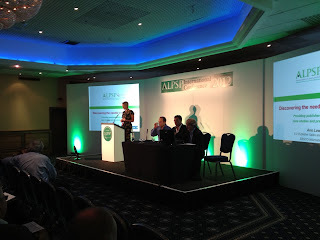 Chaired by Ann Lawson from EBSCO, this session is designed to help publishers understand how they can help academics and professionals to navigate quickly and seamlessly to the trustworthy content they need. Ann's colleague Harry Kaplanian, Director of Discovery Services at EBSCO Publishing, kicked off with an overview of discovery services as well as the features and benefits for the publishers. He began by reminding us of the first discovery system is a library catalogue system in the early 1900s. 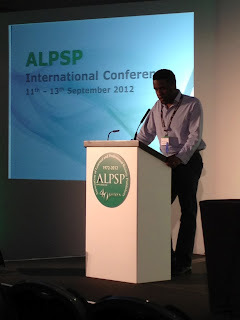 He then went on to outline the pros and cons of subsequent systems. Pros: users can search the entire physical collection quickly; tight ILS integration; one place to search. Cons: users can only search catalogue; metadata searching only. Pros: single search box for all content; currency of content. Cons: speed; many indexes; multiple ranking algorithms; larger result sets in complete; internet traffic; content provider traffic. single relevance ranking; speed and bandwidth; no local hardware or software to install; eliminates traditional list problems; drive usage and lower traffic. Cons: not tightly integrated with ILS. Now standard to provide full text and metadata to discovery services for searching. 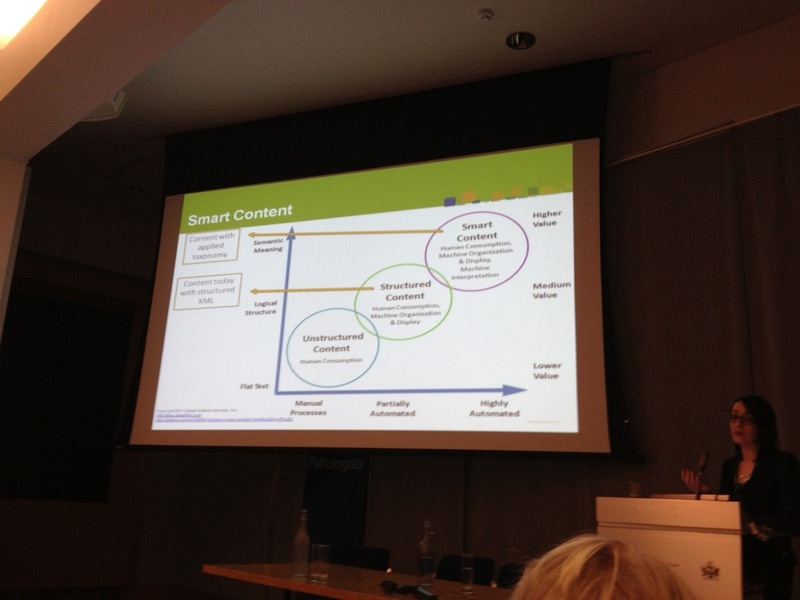 In most cases content is presented by publishers. The user is guided to full text by link resolver. You have to make sure highest quality metadata and content provided and that active updates to databases are provided. Powerful subject indexing based on controlled vocabularies, no full text, but a big impact on full Discovery. Make sure the Discovery service is capable of properly searching, merging, ranking and securing entitled access. Consider what happens when a customer cancels subject index subscription, renews, adds it, doesn’t have it? Make sure Discovery vendor accurately states if subject index provider is actively taking part or not - check the vendor’s claims. Simon Inger provided an overview of key findings from the Survey on Reader Navigation which is due to be published shortly. Read about the project here. Potential to differentiate through which discovery channels to make subscriber offers. The summary report will be published for free later this month. The full report will be published at the same time. All supporting publishers receive these items in return for their help. Full results set and analysis framework will be available for a fee shortly afterwards. 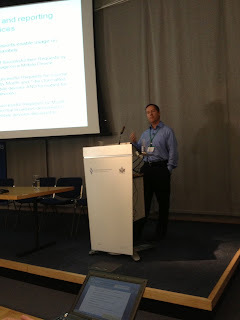 Robert Faber, Director, Discoverability Program at OUP, concluded with an overview of the Introducing the Oxford Index. Why does discoverability matter to publishers and librarians? Traffic and use are the lifeblood of digital scholarship. use of subscriptions shows the value of the content. Discovery reveals interest and demand for new content. Customer and user behaviour is changing. If you can’t find it, you won’t use it. People are searching for a topic, not book - 80% of traffic to Oxford Journals is direct to article. There are many search systems and rapid evolution. 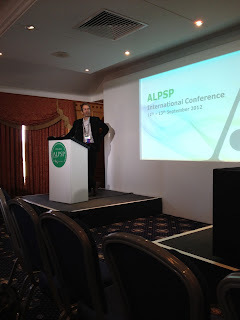 It's about free content outside the paywall for some products - abstracts, keywords, Oxford Journals, Oxford Scholarship. The MARC program has been improved and expanded. Linking: some in place, mainly in close neighbourhood. Some editorial linking between products. Some partnerships with other publishers and institutions have been set up. 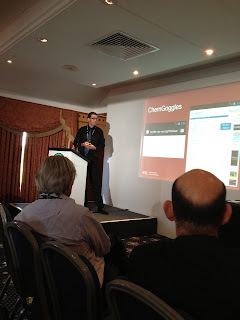 New mobiles sites for Oxford Journals and future products are set up. Library discovery services have been developing new partnerships. SEO is at the centre of product evolution. Discovery happens in Open Web Search, library services, research hubs, through content links, opt-in services, viral awareness and via OUP web features. What is the Oxford Index? It’s free discovery from OUP: a standardised description of every item of content, in one place. It incorporates external search partners, an Oxford interface - landing pages: quick pathways to full text, web-searchable; and cross searchable - but they recognise that the website might not continue to be very important. It provides a way to create links and relationships across content with meaningful links that add value and traffic. There are overview pages for quick view of topic links embedded in products. This is a free service integrated with existing products. What does this mean for search rankings and usage? What does it mean for library integration? Library visibility? Bring in users from general web search. OI can interact directly with library search. OI identifies library’s provision of full content which highlights the benefits of library services. 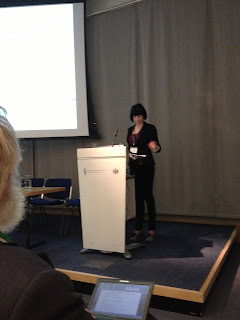 Visibility through other library, A&I, research services? OI metadata routinely supplied to library systems. The benefits include i) traffic: sustaining and widening sales, ii) consistent methods - for users and systems, and iii) evolving grid of options to connect content. scholarly/research communities play bigger role in academic discoverability. Thomas Taylor from Dragonfly Information Services provided a packed overview of global consortia and library markets as part of the News of the World session on day one of the conference. He observed that access to research is becoming a ‘right’. Open Access movement is a disruptive business model and there is an evolution of traditional subscription models for consortia. The advantages for publishers include protection for subscription revenue, access and usage explodes, the impact factor goes up and you can integrate Open Access journals into consortia deals. Has a strong economy showing signs of slowing down. There is a commitment to invest in education in short and long term and to indigenous publishing (including journals). Local marketing, sales and brand are a necessity for language, laws, social media (they have their own versions of twitter and google). Consortia had aggressive purchasing until two years ago, but are now more selective and subject area specific. They are showing sign of mature consortia and purchasing has been slowed down by politics and bureaucracy. There are two very well know consortia: NSTL (closed, centrally funded, 600 institutions with 9 member board) and CALIS (open with no central funding, 700 to 1400 institutions). They have a strong economy with no signs of slowing down as well as the third largest HE system in the world. Major investment in recent years appears to be continuing in both new institutions, R&D spending and new consortia. With 10 to 15 major consortia this is still an immature market. This is a diverse region with many markets. There has been an economic slow down since 2009. They are thinking about how to invest in post-oil economy, education is one of the key factors. The Arab Spring has created political uncertainty and instability in some countries (but hope as well!). 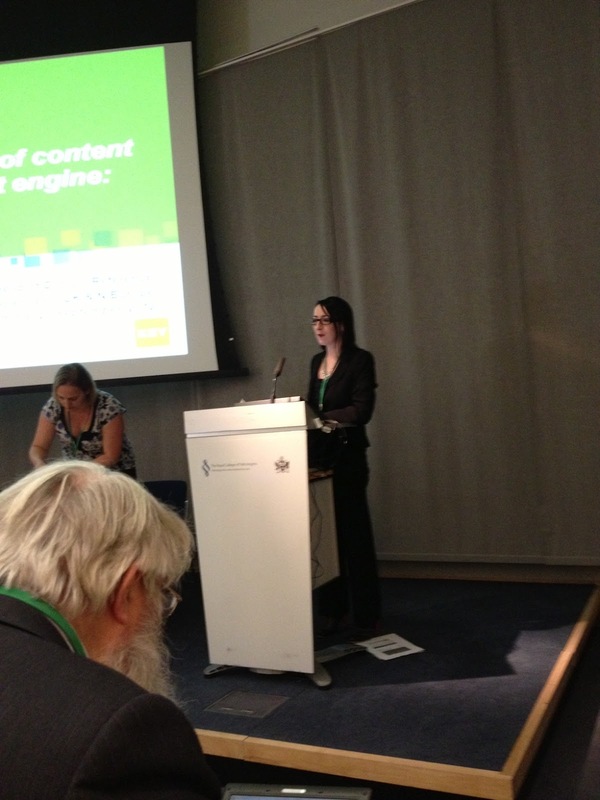 There are immature consortia who are increasing spending on e-journals, databases and ebooks, especially in STM. It is anticipated that 2013-2015 library budgets will be flat or increasing modest. Economies continue to be challenged and uncertain. Europe is a diverse market (north vs south?). Library budgets are decreasing or remain flat. Very little new content is being purchased. Renewals of deals still the default in most cases. Main policy impact is through Open Access mandate from EU in support of UK mandates. The economy is in recession. JISC is one of the oldest and mot mature consortia (Open). There is little acquisition of new content (ISPG purchased this year). Renewals of deals is the default (two big deals renewed last year amid much noise). Government mandated Open Access most aggressive in the world. Strong economy (6th largest in the world, overtaking Britain). CAPES a national, closed, mature consortium, is one of the oldest. It has deals with most commercial publishers. There are 350 libraries (all of Brazil academic market and then some). The new government has created an uncertain future and there has been very little new content acquisition in last two years. This is a growing economy with an unstable political situation with new government and drug wars. Mexico has a three year old government funded consortium. The economy is growing. CRKN is a mature national closed consortium that no longer has government funding, but is funded by member libraries now. Budgets for new content are uncertain. Renewals only in 2012 for 2013. There are regional consortia (four, open) buying some new content, but budgets will continue to be uncertain until CRKN renewals are confirmed. Elections in US could effect consortia in a big way. If Obama is re-elected he has promised to invest in education and research. EBSCO Community Plus is a new open North American consortium. There are 250+ research libraries and 50 ARL libraries. ISPG and several other content providers are participating with tentative plans to expand into Europe. Addendum 2: Open Access mandates and how they affect the consortia world. 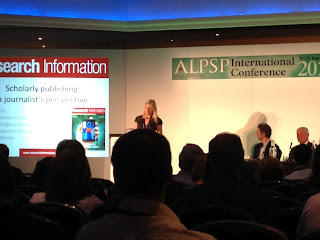 If you are’t a large commercial publishers, join forces with other like minded publishers. 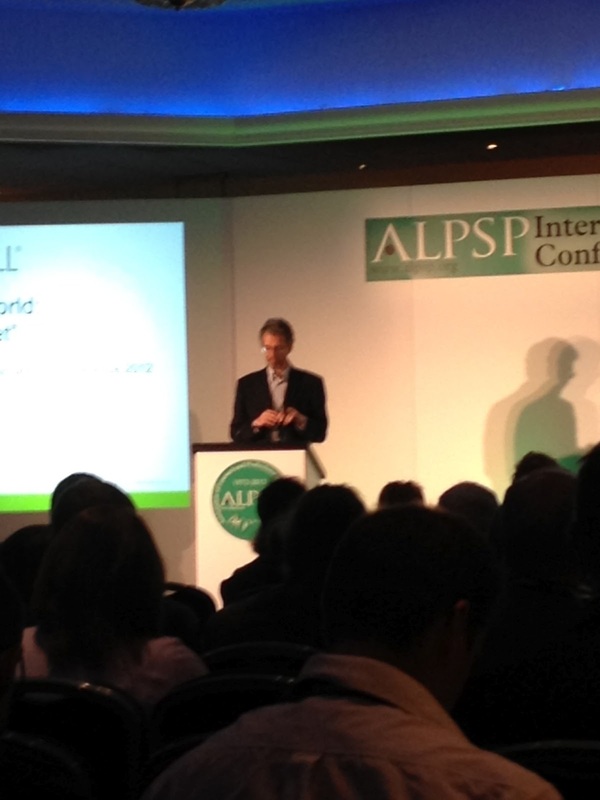 Adrian Stanley, CEO of The Charlesworth Group chaired the last session of day one of the ALPSP International Conference titled ‘News of the World’. 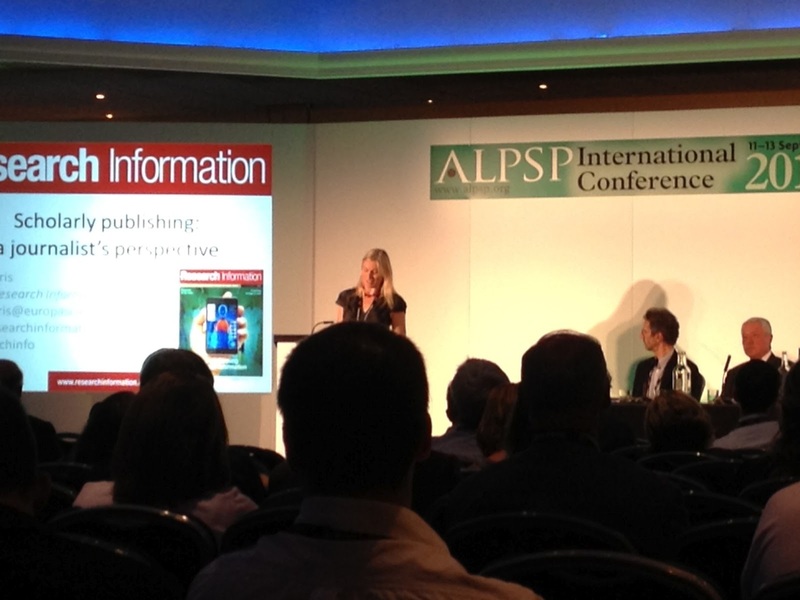 It was billed as ‘a satirical and informative overview of important and dramatic global, technological and social news impacting the future of professional and scholarly publishing’. Adrian was joined by Sian Harris, Editor of Research Information, Mark Ware from Outsell and Thomas N Taylor from Dragonfly Sales and Marketing Consultancy. 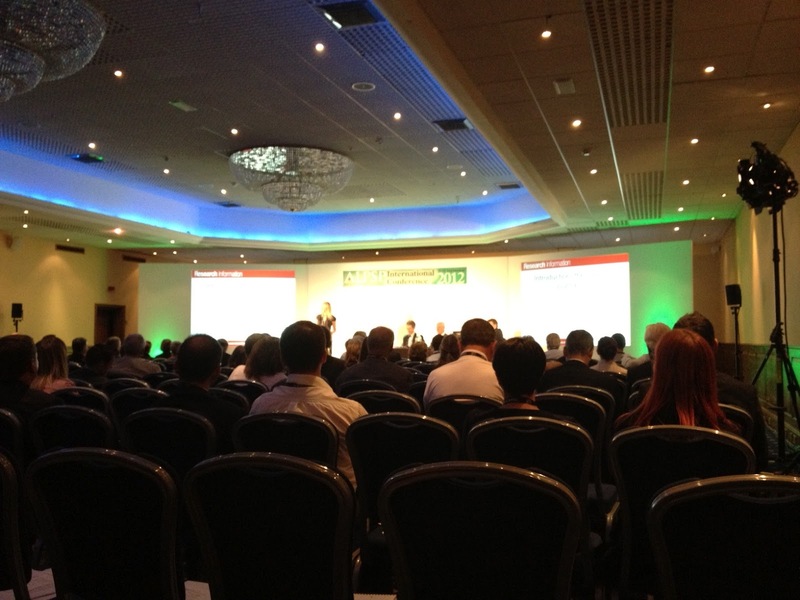 The session was jam packed with statistics, facts, advice and recommendations. Highlights from Mark Ware's session are below. focused scale – companies that are dominant and compete on scale but do so with deep emphasis on a topical area of areas (e.g. McGraw Hill, Pearson, Gartner, Thomson Reuters, etc) – bump up against their own clients and suppliers. More competition is becoming the norm. Human assistance – service and culture – the more digital our world will become, the more important human experience matters.